second picture is a typical Dutch pastry called 'tompouce'." deleted 6 comments from my previous post. 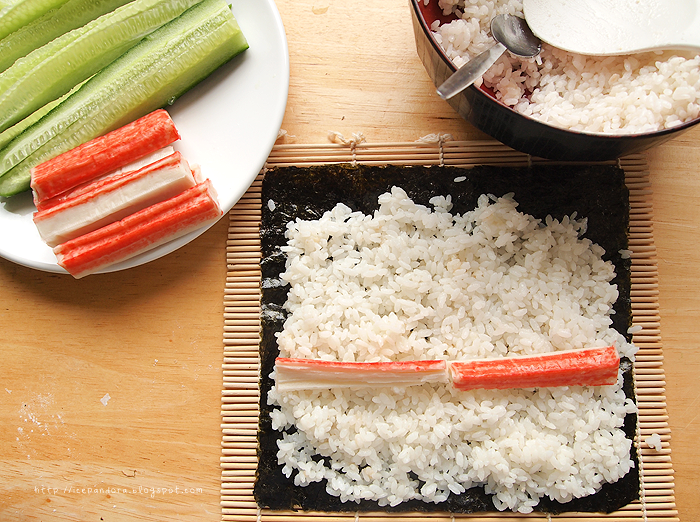 it, as I never made sushi before. making Japanese dishes and I LOVE her!! 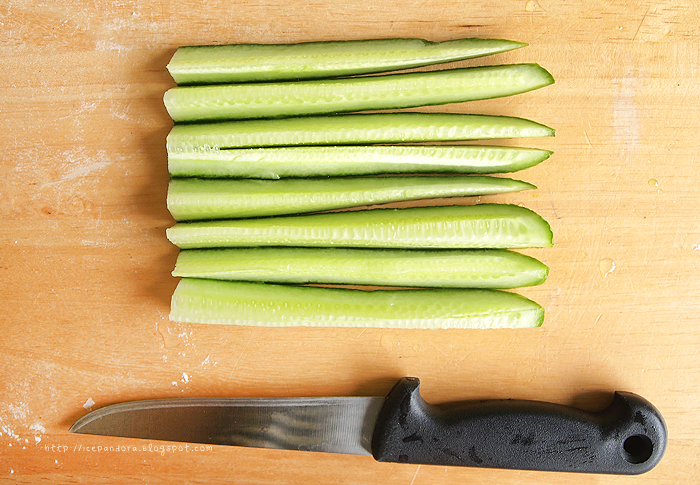 Add sugar, salt and rice vinegar, so good stuff! it look delicious >w< make me really want it! such a nice photograph too. yum! i love sushi! awesome photos btw. 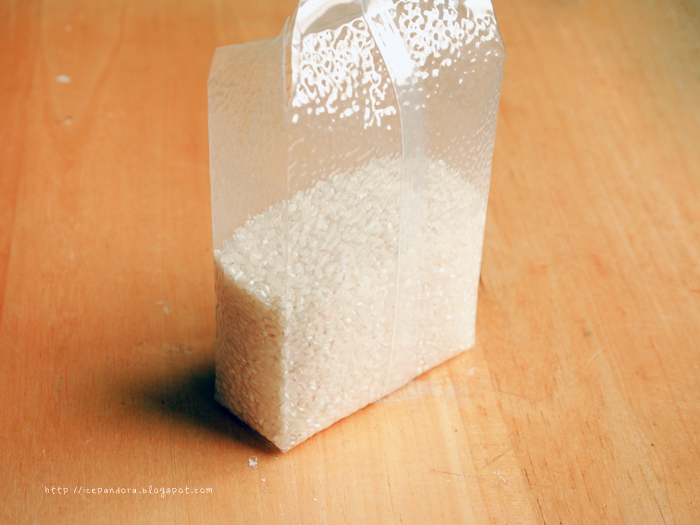 i think you need to make your rice a bit more sticky though. 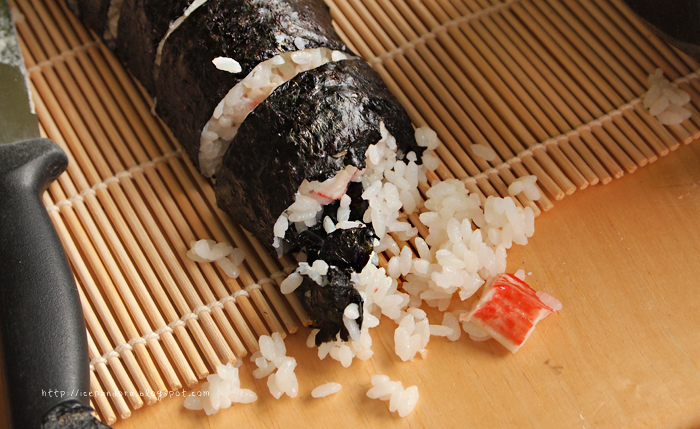 i love the taste of sushi rice with all that rice vinegar. For your first time, it's not bad. You'll improve with time. Anyway, it looks very good. Ahh I love sushi! Thanks for posting this :) the pictures look great! ooo sushi : ) I love sushi! Too bad I am junk with anything that has to do with cooking -o-.. *o* Picture quality is soooo nice. I looove sushi! Have never tried making it yet though. Do want too. Looks fun! I love sushi so much! It reminds me of my trips to Japan :) Wish I could go back there :) That sushi looks so good! so yummy and so healthy too! omg.. the pictures look so awesome!! It's such a long time since I made Sushi! But I actually just ate some today! 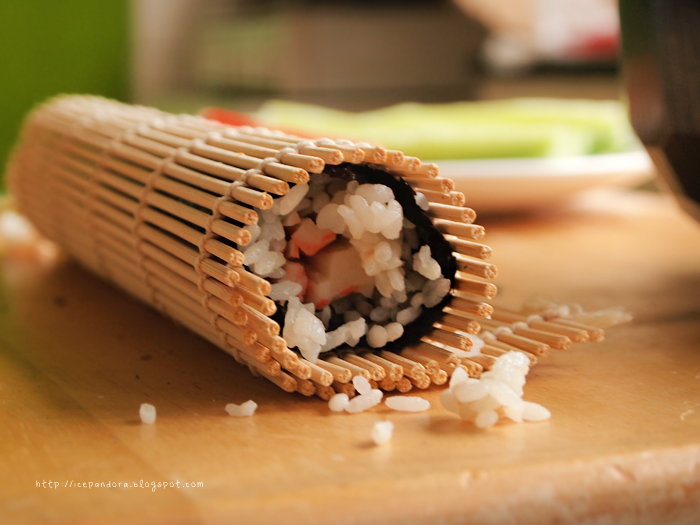 hehe :D The picture with the maki inside the bamboo roll is so cool! You look very busy there rushing around your kitchen! Wow, your great! And can I just say that you have the most cool and beautiful layout? I love it, would you like to follow each other? your sushi attempt looked quite successful!! congrats! 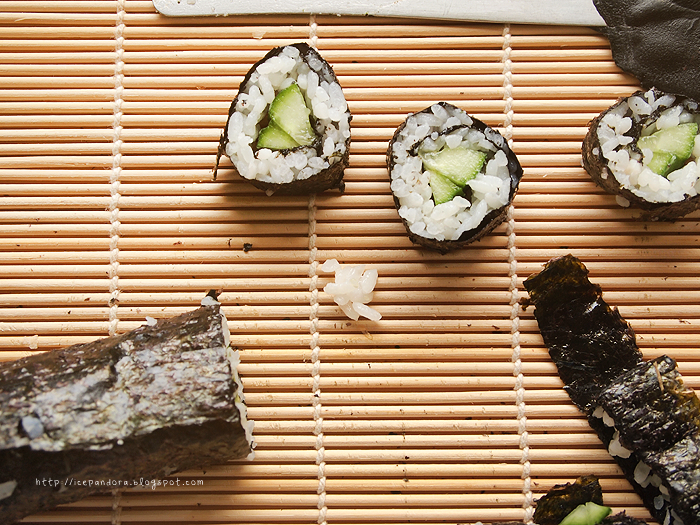 it's not easy to make sushi rolls. ZOMG so yumm! 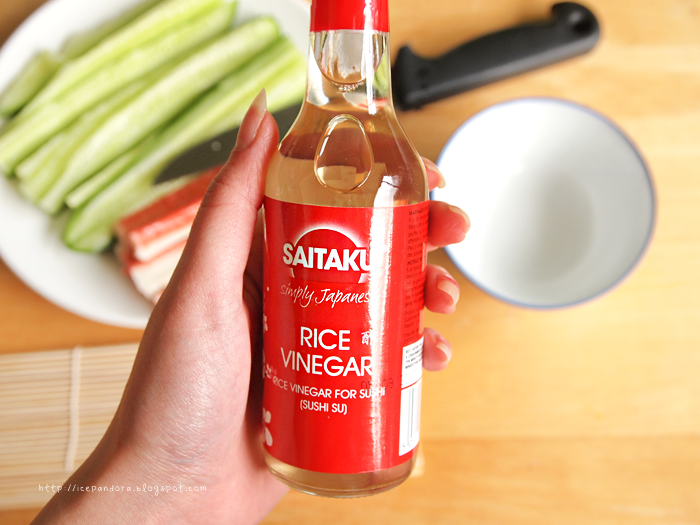 wait so you add the sugar, salt and rice vinegar to the rice? or to the dipping sauce? x misstea & co.
hello! ur blog is truly lovely. so fun to make sushi!! hope u will follow me back. Sushi! Look so good, can I have one hehe. I love watching cooking with dog's videos too!! 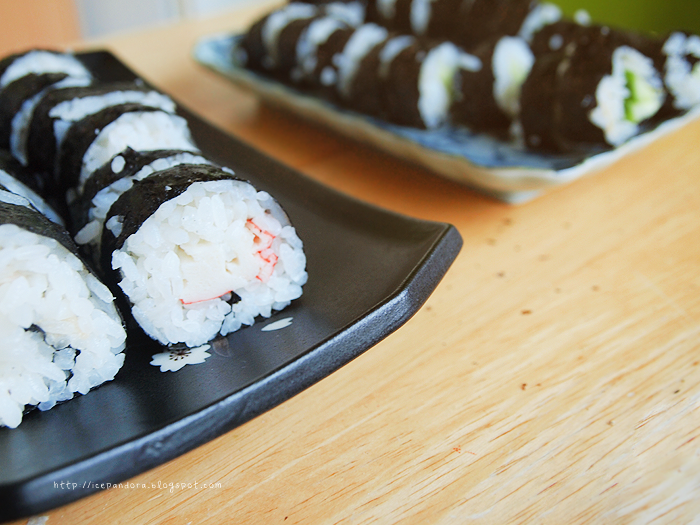 You did such a great job making the sushi, looks yummy. Yum! I wish I'm eating that right now! Beautiful pictures! ha ha ha this is cute! and omg cookingwithdog is hilarious. i love the voice for the dog! i got the booties from gmarket! love those sushi pictures! mind to follow back? i want to eat your sushi o__o nom nom nom! Follow you, would you care to follow me back? i love making my own sushi too but mine is not as good as yours!